It was heartbreaking to read these and scores of similar comments responding to my recent article “Nine Reasons Discerning Women Are Leaving Your Church.” On the other hand, it was encouraging to hear from so many women (and even a few brave men!) whose love for Christ and fidelity to His word have moved them out of apostate churches and set them on the hunt for a body of believers which worships Him in spirit and in truth. Look around. Read the paper. Watch the news. Do “you see the Day [of Christ’s return] drawing near”? I do. God says that makes it even more important for Christians to stick together, meeting regularly to encourage each other and stir one another up to love and good works. We need each other. But how can we meet together, when it’s so hard to find a church that teaches and preaches sound doctrine? 1. Make sure you’re only leaving a church for essential reasons. There are biblical issues and then there are issues of preference. You may not like the genre of music at your church, but is it theologically sound? Perhaps you’d prefer that your pastor wear a suit instead of jeans, but does he rightly handle God’s word? 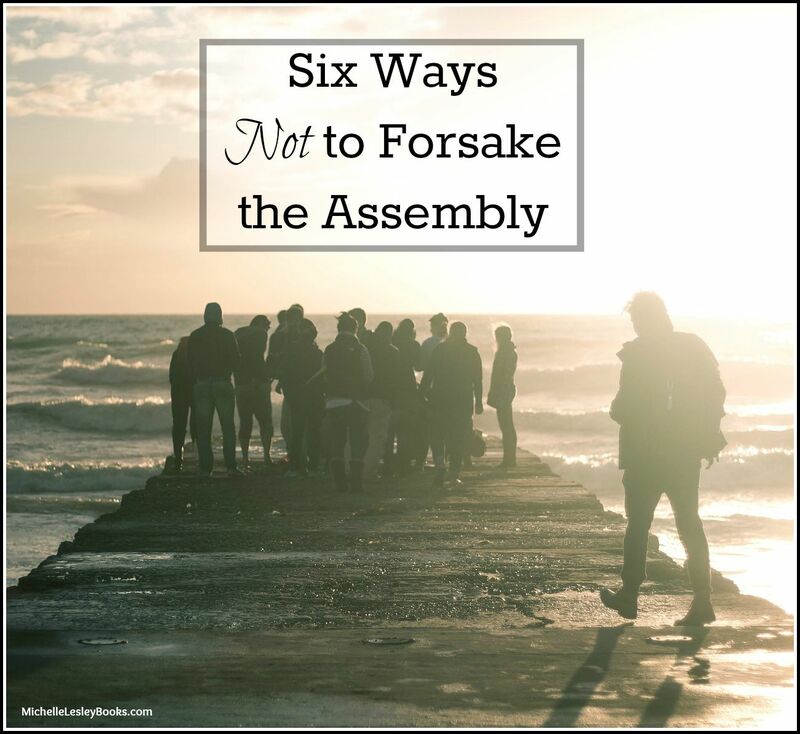 If you’re a member of a church that is, generally speaking, doctrinally sound, you should probably stay, even if – or maybe especially if – you see some areas that seem slightly “off,” biblically. It may be that God has placed you in that church to shed some light on the situation and to be a catalyst for bringing things back in line with Scripture. Sometimes when a church member or leader bobbles a little it’s simply because they don’t know that what they’re doing conflicts with Scripture. See if you can come along side the person and help out. Remember, there was a time when you didn’t know any better, either. 2. Leave no stone unturned. If your church is apostate and you do have to leave, you should immediately begin looking for a doctrinally sound church to join. Staying home from church for a while just makes it that much easier not to go back. Ask trusted Christian friends about their churches, look on line, drive around town, but look. Don’t give up your search until you’ve checked out every single church you can possibly get to. Keep in mind that you may have to make some sacrifices to find a church that adheres to God’s word. It might not be very close to your house. They might meet earlier or later or be bigger or smaller than you prefer. You may have to choose a church of a different denomination than you grew up in. That’s OK. Keep looking. 3. Think outside the steeple. It seems impossible, but some people, even in populous areas, leave no stone unturned and still can’t find a church that rightly handles God’s word. (Unfortunately, we are going to see more and more of that “as the Day draws near.”) If you absolutely cannot find a doctrinally sound established church you may need to begin meeting with other Christians outside of the established church: in homes, community centers, after work, etc. I want to be clear that I advise this only as a last resort after exhausting every possibility of joining a biblical established church. I have known of people who withdrew from established churches because of doctrinal problems, and instead of searching for a sound, established church, decided to form a house church, which then fell into other doctrinal problems of its own. House churches can be very vulnerable to doctrinal error. If you must meet with other believers outside of an established church, make sure whoever is pastoring the group is biblically qualified to do so, and that your home church carries out all of the components of a biblical church: Bible teaching, worship, prayer, care for members, the Lord’s Supper, baptism, and church discipline. There are many wonderful, trustworthy resources such as sermons, Bible teaching, and Bible study lessons available on line for free. Take advantage of them. You may also wish to contact your denomination’s headquarters, a reputable missions organization (such as NAMB or IMB), or a doctrinally sound church planting organization and ask about the possibility of a missionary or church planter coming to plant a new church in your area. 4. Can’t find other Christians to meet with? Make them. I say that somewhat jokingly. Of course you should not evangelize for the sole purpose of having other Christians to meet with. You should already be sharing the gospel with others simply because you are a Christian. Every Christian, regardless of her own church situation, is called to take the good news of Christ to those around her. However, whereas you might previously have shared the gospel with someone and then invited her to church with you, now you might invite her to your home church. Yep, it’s a pretty radical idea, but we still have the freedom in the U.S. to move to any area of the country we want. If you absolutely cannot find a way to meet together with other Christians, you might want to prayerfully consider moving somewhere else. Desperate times call for desperate measures, and obeying Scripture is worth any sacrifice. Yes, it’s that important. God’s word says we’re not to forsake meeting together with our brothers and sisters in Christ. God wants you to obey His word. If you want to obey His word and you ask Him to make a way for you to do that, He will answer that prayer. It might not be in the way you’re hoping or expecting, but He will provide a way for you to obey Him.